Forte Supply soft serve ice cream machines have been developed for an important purpose: to help entrepreneurs and business owners who want to have a soft serve franchise with quality machines that are reliable and cost less than those produced by competing manufacturers. Every Forte Supply machine is made in a factory with full ISO certification. Our employees receive industry-leading training. Our mission is to continue to produce machines for ice cream franchise owners that feature improved design, functionality and features. From the very beginning, we at Forte Supply saw there was a genuine need for soft serve ice cream machines that could meet increasingly demanding standards at a fair price. We set out to learn everything we could about the soft serve franchise industry. We visited countless businesses that used, marketed, produced, distributed, or serviced soft serve ice cream franchise equipment or supplies. Using this knowledge, we developed an international network of manufacturing partners. We knew exactly what we wanted our machines to do, and we developed specific requirements for prototype machines. When the prototype machines arrived, we tested them every way imaginable, and did all we could to make them fail. Then, we made numerous improvements, always with the end goal being the finest soft serve ice cream machines available. When we finally had a machine we were satisfied with, we made it available to soft serve franchise owners. The response was fantastic, and soon we were working with soft serve ice cream franchise owners all over the U.S., and internationally. Our commitment continues: Provide smart investors with a route to a quick return on their investment, enabling them to become profitable, create jobs, stimulate the economy and gain financial independence. Although Forte Supply provides an alternative to higher priced brands, we do not sacrifice quality of service for our soft serve ice cream machines. Every machine we sell to a soft serve franchise owner includes a one-year non-wearable parts warranty, a five-year extended compressor warranty, and access to our wide network of local service providers. We also offer a wearable parts program that allows soft serve ice cream franchise owners to receive a kit every year that includes everything needed to keep machines running, and have all necessary parts and cleaning supplies. To learn more about soft serve success the Forte Supply way call (888) 610-5520. Please leave your information and one of our Froyo Experts will contact you. Click ENTER to chat with a Froyo expert now. Fresh frozen yogurt with mango and strawberries topping. 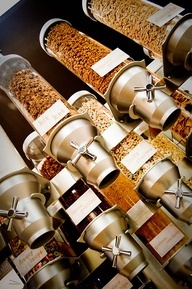 Some of the most tried and true choices on our toppings bars are our variety of chips. Chocolate, peanut butter, butterscotch, white chocolate - the options are almost endless! 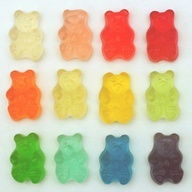 All of the colors in the rainbow in a tiny gummy package! Gummy Bears are one of our most popular toppings; whether you're a kid or just a kid at heart, Gummy Bears pack your fro-yo with fun! Rich chocolate and creamy peanut butter, we've got your sweet and salty cravings covered with tasty Reese's Peanut Butter cups on our Toppings Bar! Almonds are a great source of nutrients, are heart healthy and help to lower bad cholesterol! Add them to Original Tart, Chocolate, Vanilla, or any other delicious premium frozen yogurt flavor to add a boost of healthy fat and energy! 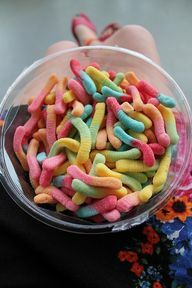 Top off your cup of creamy premium frozen yogurt with some squiggly, squirmy worms-- and by worms, we mean tangy, fruity, sour gummy worms! 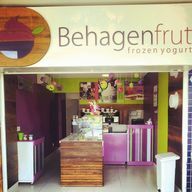 Behagenfrut @pedrolima82's photo: "É nesse gostoso clima de festa e alegria que a #Behagenfrut te espera nesse fim de ano. Aqui na 104 do sudoeste estamos prontinhos para recebê-los...um ótimo Natal a todos."